CCleaner.com - What is my cache and why does it need clearing? In computer terms, a cache is a place where data is temporarily stored. ‘Caching’ data is useful because next time your computer has to retrieve the same information, it can do so faster. Let’s use browsing a web page as an example. The first time you go to a site your computer downloads the entire page. You might then decide to click through the site. Some elements on the page are new, so will continue to be downloaded, but if the same logo appears on every page within the site your computer will reuse the logo from the initial download. This doesn’t just apply to logos - anything that appears on multiple pages within a single site will be placed in the browser's cache. 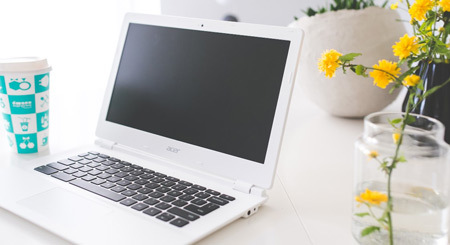 How does clearing my cache benefit me? Caching data is beneficial because it allows you to browse faster but conversely, as sites change over time you don’t really need to store this information forever. In fact, continuing to store cached data can cause display or access problems. It also means anyone who uses the computer after you may be able to see what you have been doing or access personal information you have entered into some websites. Clearing your cache helps protect your privacy and makes your browser work better. What types of cache exist? As well as your browsing data cache, several different types of cache exist which store different types of data. If you open up CCleaner you’ll see what I mean. Click on the ‘CCleaner’ logo on the left and you’ll see a list of what is in your machine which can be cleaned, split into two tabs: ‘Windows’ and ‘Applications’. What is listed within these tabs depends on what is installed to your machine, so not everyone will see the same lists. Under ‘Windows’ you are likely to see ‘Internet Cache’, ‘Thumbnail Cache’, ‘DNS Cache’, ‘Font Cache’, ‘Menu Order Cache’, ‘Tray Notifications Cache’ and ‘Window Size/Location Cache’. You may also see ‘Internet Cache’ in the ‘Applications’ list which is to the right of the ‘Windows’ tab. If you are starting to feel confused by the different types of caches available to clean, don’t worry! 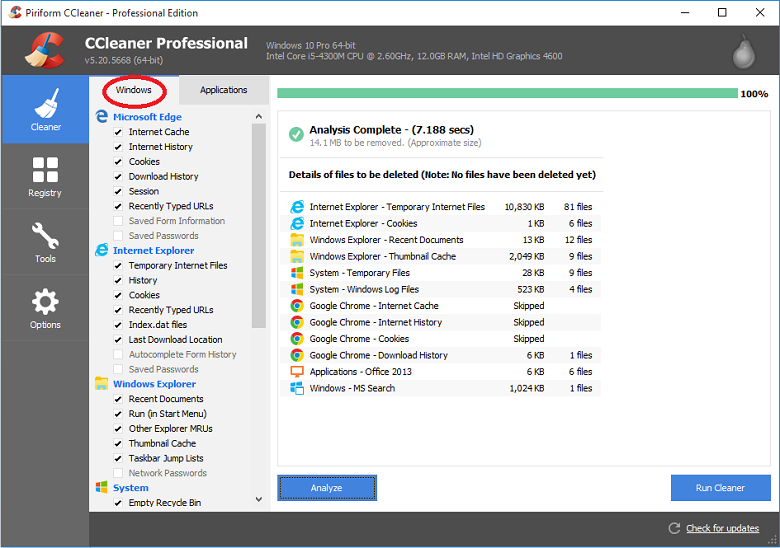 Unless you’re a tech expert you’re unlikely to understand the differences between each cache so to help the regular user, CCleaner has a built-in default cleaning state. To make cleaning easy, the default cleaning state selects the caches that most likely need to be cleaned for you. The rule of thumb here is, if you don’t understand what these caches are, the default cleaning state is perfect for you. Most computer users will never use their machine enough to warrant cleaning every cache. Which caches should I clean? Unless you know the differences between each type of cache, you’ll only ever need to use CCleaner’s default cleaning state. To make sure CCleaner is set to this default state before your computer cleanup, right click on ‘Windows’ and choose ‘Restore default state’, then repeat this on the ‘Applications’ tab. Then click ‘Run CCleaner’, ‘OK’ to proceed and your cache will be cleaned in seconds, along with your cookies and other unnecessary files and data. You can download CCleaner here or if you fancy a few more features, start your free CCleaner Professional trial. If you’re a Mac user download CCleaner for Mac. If you have any comments please tweet us! We're @Piriform.